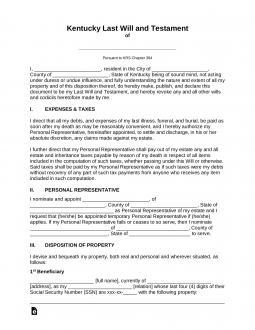 The Kentucky Last Will and Testament is the important written planning of a testator (the person making the document), of a document that will protect things such as personal property, real property, digital, fiduciary assets and more for the use and continued protection of spouses, children, friends, even pets and charities. 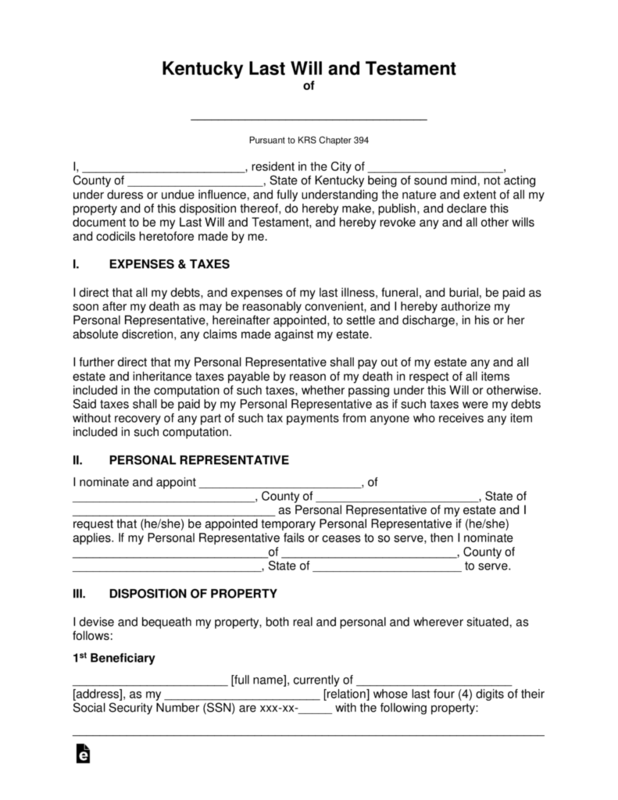 These properties will be properly distributed upon the death of the testator by their chosen executor and according to Kentucky state law. This document must be notarized, witnessed and signed by two witnesses to be acknowledged in the state of Kentucky. Signing (Section 394.040) – By Two (2) or more credible Witnesses in the presence of each other and in the presence of the testator. The Testator must review the remaining information regarding how their property is distributed in the event any member of their group of beneficiaries would happen to pre-decease the testator. Step 7 – Notarization – When the notary public has witnessed all signatures they shall complete the remainder of the document and authenticate it by affixing their commission and state seal.